In the past, this stunning coastal property was home to the family-run Wilcox Nursery. But after the nursery closed in 1972, would-be buyers eyed the site for development—a luxury hotel and a residential subdivision were just two of the proposed uses. Local conservationists struggled for more than two decades to protect the property as public open space. In 1996, they launched a successful grassroots fundraising campaign that helped The Trust for Public Land purchase and protect the property to become the Douglas Family Preserve. 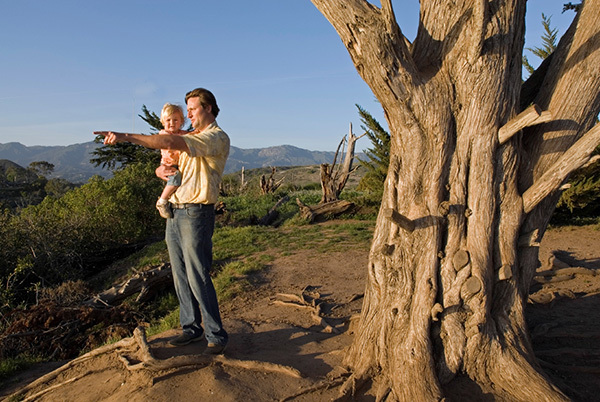 Today the park is the largest area of coastal open space within Santa Barbara city limits, boasting spectacular ocean views, stands of cypress and Monterey pine, and a eucalyptus grove used by migrating monarch butterflies.